Our beautiful selections of baby blankets are always a good gift choice for a new baby. We offer a variety of styles, from cotton to fleece, solid to patterned, and as stand alone gifts or paired with an plush animal. 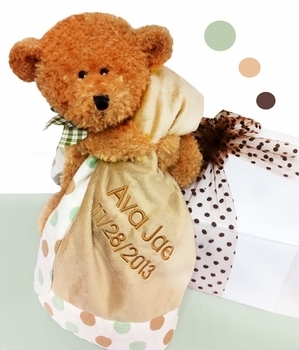 Some blankets can be customized with the baby�s name to create an especially thoughtful keepsake to keep over the years.